While there’s no denying that sweaters will always be a cold-weather staple, after a few months of heavy rotation, they can feel—for lack of a better word—boring. I’ll be the first to admit that I can get into a slight outfit rut toward the end of the season and end up reaching for the same sweater-and-jeans combo I’ve been rocking for the past few months. During desperate times like these, I turn to the mecca of all outfit inspiration for fresh styling ideas: Instagram (where else?!). After looking to our stylish readers for innovation, I’m proud to say that I filled up my saved folder with genius sweater outfit ideas I plan on replicating ASAP. 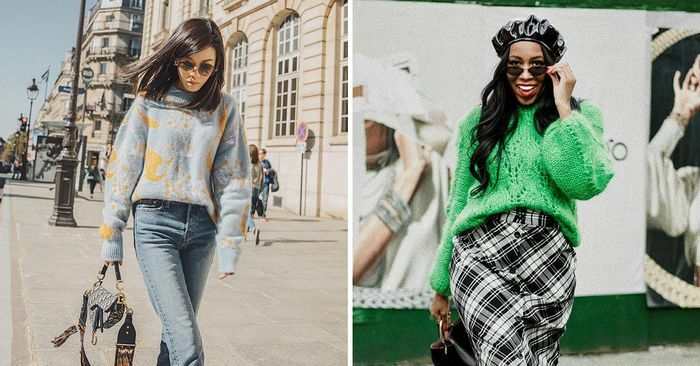 From pairing unexpected prints to creative layering tricks, you’re sure to pick up a new outfit idea (or 10) for your favorite sweater from the below 24 looks. And if you find yourself in the market for some new pieces after browsing these outfits, I’ve also shopped out a few styles you’ll be thrilled you own come winter.